LIVE is a biweekly art and entertainment publication highlighting art and entertainment events, shopping and dining venues. The magazine inspires readers to recognize they are part of a greater global community and to inform them how to manifest their part by becoming involved in local community efforts. Other contents include commentary on films, shows, human interest stories and the inspirational musings of life coaches. 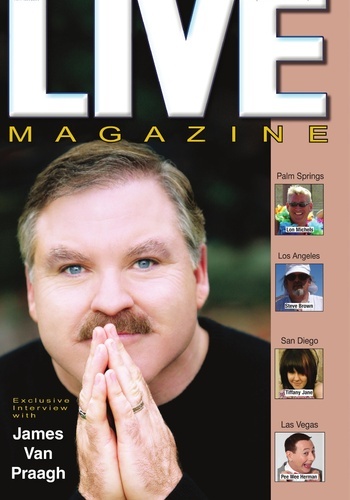 LIVE Magazine is also in San Diego and Las Vegas.